Based on their research, scientists have suggested the possibility that at a galactic scale there is at least ONE extraterrestrial civilization that has the necessary means of communication with Earth in our galaxy—the Milky way. Controversy or not but… American scientists Luis A. Anchordoqui, Susanna Weber and Jorge F. Soriano demonstrated the possibility that an alien civilization capable of communicating with humans exists in the Milky Way Galaxy, according to an article published on the website of the University of Cornell. Experts based their research on the Drake formula in order to estimate the number of civilizations in our galaxy—the Milky Way—likely to possess technology that could intercept or transmit radio emissions. According to their calculations, at a galactic scale, there is at least ONE extraterrestrial civilization that has the necessary means of communication with Earth. Furthermore, scientists compare the number of planets where there could be advanced civilizations capable of contact with the rate of birth of celestial bodies that are within the habitable zone around their star. However, scientists note that powerful gamma ray bursts could endanger the existence of alien life. According to experts, the TESS (Transiting Exoplanet Survey Satellite) and JWST (James Webb Space Telescope), which are preparing for a historic launch, will allow them to verify the results of their work. And while scientists say that at least one alien civilization may exist out there, they have explained that the fact that the percentage of intelligent alien civilizations in the Milky Way is extremely small—about 0.5% when compared to the total number of alien civilizations that may exist in the Universe, which is something that significantly complicates their search for our cosmic neighbors. “A new arsenal of data will certainly provide an ideal testing ground to improve our understanding about: (i) the occurrence of exoplanets in the habitable zone, (ii) the early star formation rate models, and (iii) the GRB phenomenology. The past few years have witnessed the discovery of more and more rocky planets that are larger and heftier than Earth. Finding the Earth-twins is a higher order challenge, because these smaller planets produce fainter signals and hence only a few have been discovered. Technology to detect and image Earth-like planets has been developed for use of the next generation space telescopes. The Transiting Exoplanet Survey Satellite (TESS) is NASA’s next step in the search for planets outside of our solar system, including those that could support life. In 2016, scientists adapted the Drake Equation with data from NASA’s Kepler satellite on habitable planets in the cosmos. Researchers modified the Drake Equation from detailing the number of extraterrestrial civilizations that exist now, to about the chance of our civilization being the only one ever existed. The research indicates that unless the odds of intelligent life forms evolving on habitable planets are extremely low, life on Earth is not the only one that evolved to an advanced stage. 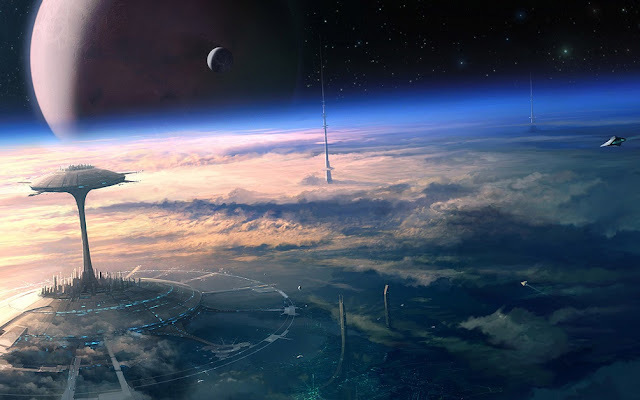 Scientists explain that the chance of an advanced civilization developing would need to be less than one in 10 trillion, for our civilization to be the only intelligent one in the known universe.